Launched in 1937, GeneralAire’ s experience spans several decades. 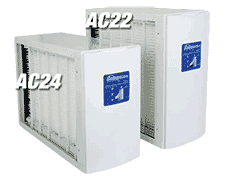 Fast becoming a leading producers of Indoor Air Quality Products. Using the most advanced technology available, GeneralAire® whole-home humidifiers, air cleaning products, dehumidifiers and air purifiers have grown to be the total line of dependable, premium quality Indoor Air Quality options for the modern energy-efficient residences. GeneralAire® Indoor Air Quality offerings make it easier to breathe just a little easier while in the comfort of your house. One of the most reliable dust retaining capacity among the residential air cleaning products, GeneralAire® AC variety air purifiers remove plant pollen, mold, dust, animal dander, oil, soot and smoke for much better, fresher air in your home. MERV 11 graded, typically the AC series is usually 97% efficient in getting rid of air-borne contaminants as small as 0.01 microns.